Product – check, wicked display – check, business cards – check! 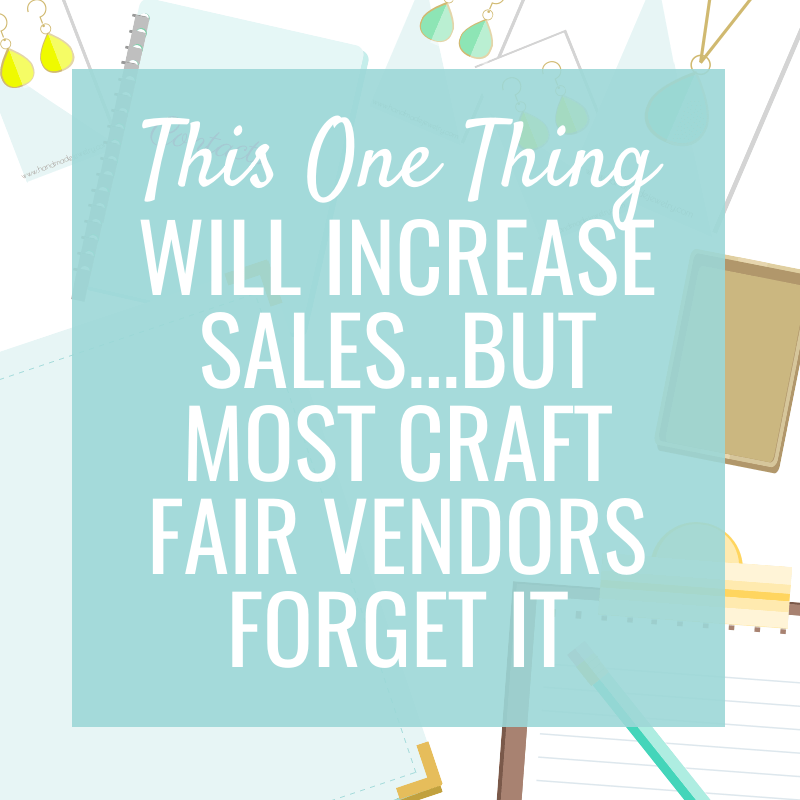 You’re all set to attract, obtain and keep customers at a craft sale right? 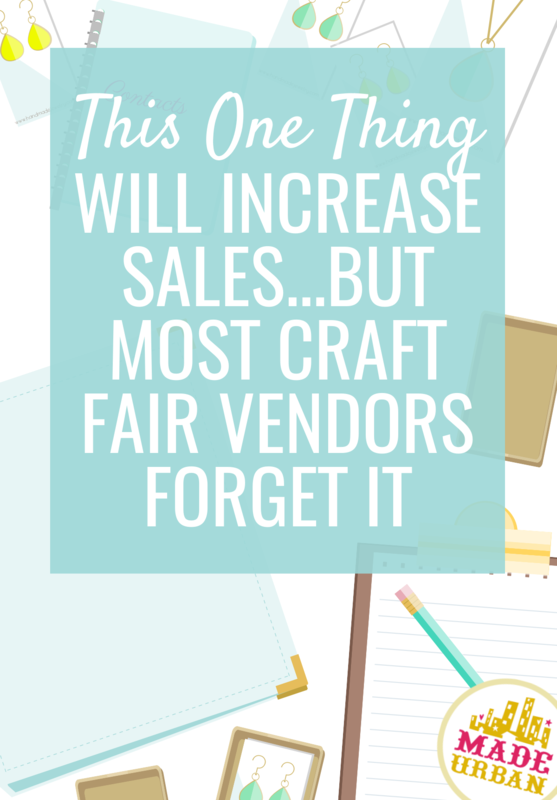 Weeeeell…there’s another important aspect that many people forget about that should become part of your craft show checklist. We know selling your product is your first choice. And if they don’t buy today then handing out your business card is your second choice. But you’re leaving money on the table if you don’t get either of those shoppers to….. Think about it: how many times do you take business cards home, file them away in your office and bring them out to review each month? Probably never (check out this article on how to keep your business cards out of the trash). When you hand out your business card, you’re leaving a 2nd interaction in their hands. It’s like giving someone you like your number; they hold all the power and all you can do is wait and hope that they call…or that you bump into them again. If you’re in a situation where you’re meeting lots of shoppers, gather their emails! You’re ensuring a 2nd interaction with them and increasing your chances of a future sale. If you don’t already have a newsletter campaign set up, don’t let that stop you from collecting emails this weekend. You’re coming face to face with your target market and you should be taking advantage of that. as your new product lines debut (be sure you’re creating collections as explained in this free download as it will give you a good reason to email people. When you’re making products there’s only one of and nothing similar for them to shop, it’s hard to email hundreds of people about it. You don’t want to email people just for the sake of emailing them (that will get the unsubscribe link clicked real fast) but you should try to find something of value to email your subscribers about at least once a month. Remember, out of site, out of mind, so if you don’t do anything with that email list, you won’t see any results. People will also want to know what they’re signing up for so whatever you decide on, be sure to communicate that to people (you also need to follow Canadian Laws and ensure people are aware what they’re signing up for, more on that below). You may even want to give your shoppers an added incentive for signing up and let them know their email will be entered to win _______ (fill in the blank with one of your products or services). Just be sure they know they’re signing up for both an entry and your newsletter. If you don’t already have a way to collect emails on your website and to create and send newsletters, you’ll want to sign up for a free service like MailChimp (they have paid options as your list grows but you can use their service for free up to 2000 subscribers. 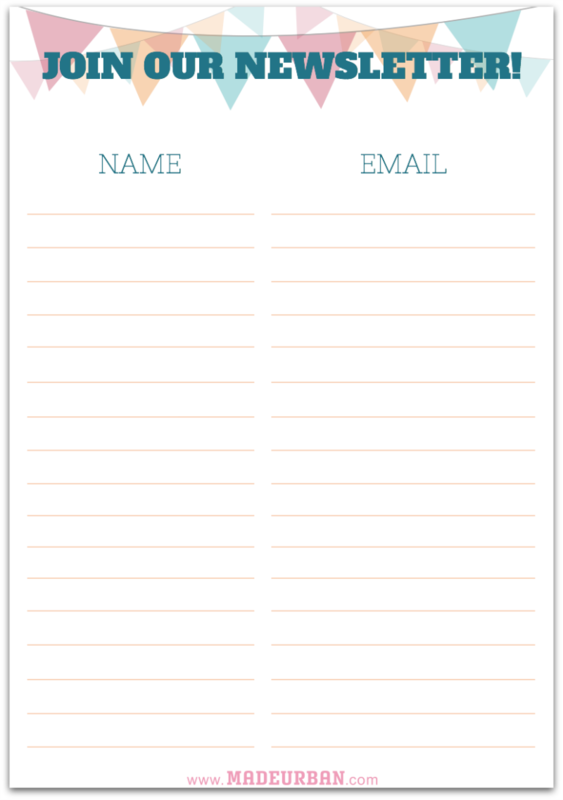 If you hit that amount of sign ups at your next event, you’re a rockstar!). As mentioned above, you can get your newsletter drafted after your craft show this weekend; just make sure you use this event to gather emails, either online or offline. The easiest way is to set up an app like MailChimp Subscribe to gather emails using your tablet or phone. If you already use MailChimp, you can set up MailChimp Subscribe on your tablet or phone to gather emails on the spot and link it up to your MailChimp account when you have wifi. This option is faster since you don’t have to go home and manually enter all the emails, plus, you can choose the double opt-in setting on MailChimp. Once the subscriber enters their email in your form (first opt-in), Mailchimp will then send the subscriber a confirmation email with a link for them to click on (second opt-in). email after the event to follow the proper process. The email should remind them they signed up for your newsletter list at X event and include a link to an online form where they can electronically enter their name and email and then confirm their subscription through email. It’s also handy to have a clipboard so people don’t have to clear a space on your table to write. As mentioned above, keep in mind that US, Canada, UK, Australia and many other countries have anti-spam laws and if someone complains about receiving an email from you, they perceive as spam, you may need to provide proof of a compliant opt-in. It doesn’t matter how small your business is, how many emails you send, what you sell, etc. 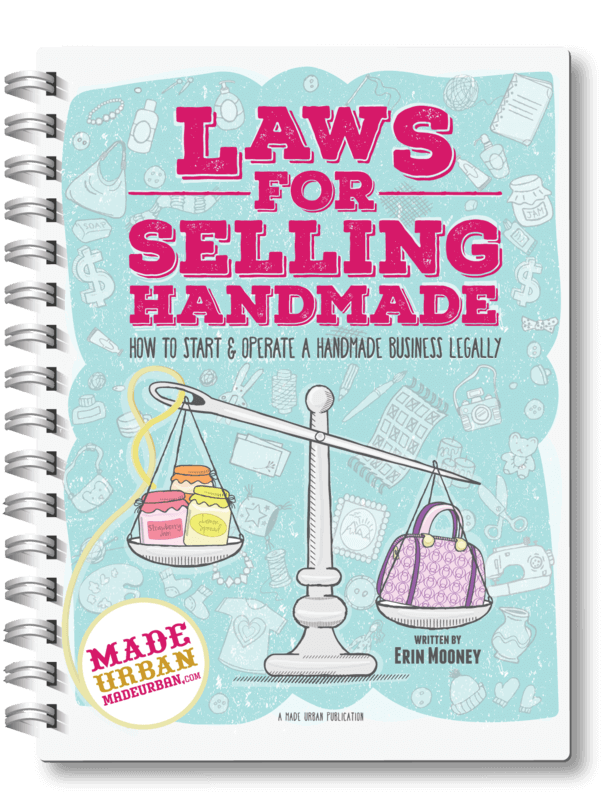 if you’re selling products, you’re considered a business and must follow laws based on where you operate and where your customers are. You’ve likely heard before that it’s much cheaper to market and sell to an existing customer than it is to acquire a new one, so you need to make use of that list! These are people who have either already bought from you or liked your products enough to agree to receive messages from you. After the show, start working on your newsletter and be sure you’re sending them something of value. You know how many emails you receive in a day and your subscribers are probably in the same boat; send them something they’ll appreciate receiving. Have a catchy subject line that intrigues them to open your email and make sure it’s full of high quality photos and info about your products. If you’re looking for more ways to boost sales at craft shows, join my FREE 5 DAY CHALLENGE: 5 DAYS TO A STANDOUT DISPLAY. Great articles. Just learned about you from another vendor. I design and craft ladies real gemstone jewelry. Would love to have more customers. Check out my site: http://www.JewelsByMargaret.com Thank you. Thanks for reading Margaret! Glad you’ve found my articles helpful! at my next craft show. Thanks Linda! Glad you found the article useful. Have a successful next craft show! I’m just starting out selling pottery. These are GREAT articles. I’m trying to find shows in my area that I can sell at. Any suggestions where I can start my research? Hi Julie, thanks for reading! Which area are you looking to participate in shows? We do have an EVENTS page which lists craft shows and different events. Or if your city doesn’t have events listed on our site yet a Google search of “craft fairs in ______________ (your city)” may bring up some options. Thankyou for sharing this great information with us. I sell Decorative painting on wood at the Craft Shows and I am finding a lot of these articles very helpful. I also downloaded your E-Book Make More Money at Craft Fairs. Excellent information. Keep up the good work. Thanks so much for reading and for purchasing my ebook! I’m glad that you’re finding the information useful! I am going in my first craft fair in December and my first pop-up market in November. I’ve decided it’s about time I made some money off my hobby, especially since I can’t use them all. I’m a retired grandmother and love having more time for my passion. I am finding your site extremely useful, and I’m on day 3 of your 5 day challenge. I find some of the points to me are common sense, like sitting behind your table reading a book while customers browse (people really do that??). Maybe it’s my retail past that says that’s a no no. Thank you, off to research, read & study some more. Some really good tips and advice here, thank you. I have recently set up my business and have 4 craft fairs arranged in the run up to Christmas! Thanks Joanne, glad you enjoyed the article! Hope you have a really successful holiday craft fair season!! Thanks so much for sharing all your tips! I’ve recently restarted a business that I had a few years ago (doing all the things in the ‘you don’t want to do this category!) and your worksheets and articles have been super helpful! I have sold more since I restarted (about a month ago) by doing what you’ve suggested than I did in 3 years last time. I’m so excited!